We were appointed to design a regional headquarters for one of the biggest bank institutions in Pakistan. 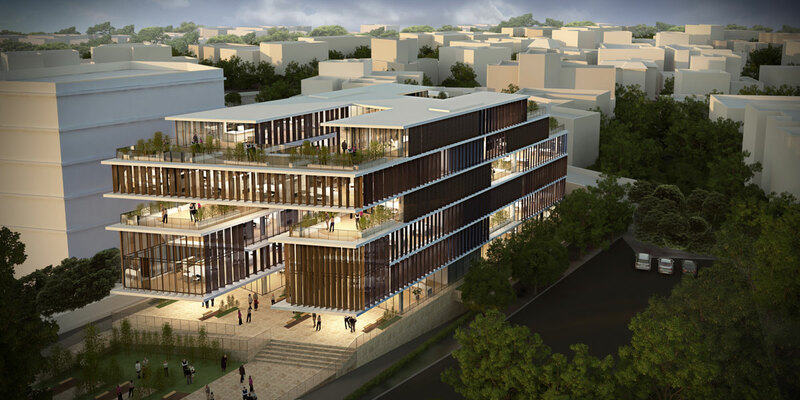 The requirement was to propose a design different than the other office buildings in the location. 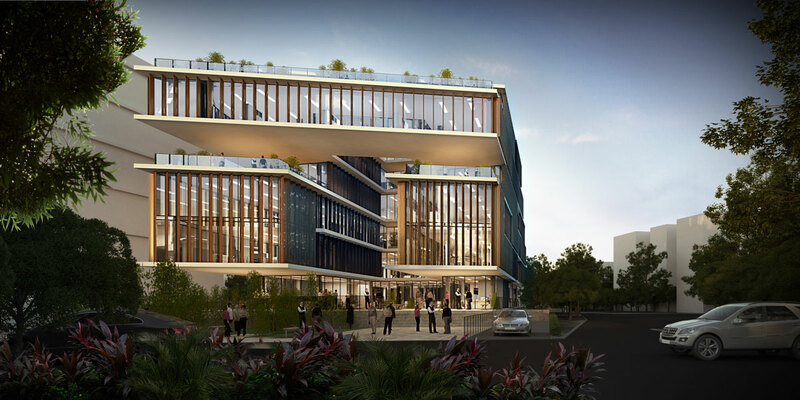 The proposed solution included internal courtyards, vertical shading fins made out of recycled materials and a layout that promotes collaboration. The entry is intentionally grand, with strong views to the sky surrounded by the wings of the building, ceating a welcoming outdoor plaza which is used to access the building. The design is intentionally different from the other architecture in Lahore, providing a memorable facade which helps identify the brand.